The Arun is a natural choice in the look out for real adventure. It is also a the first choice for those seeking an expeditions into the wilderness. The Arun is one if the tributaries of the Sapta Koshi that flows through Eastern Nepal. The trip begins with a three-day trek through remote villagees of the serene Arun valley; camping out in lush forests with views of the snow-capped Himalayan peaks. It is three days of great white water action and camping on fantastic beaches along the river. Combining trekking around spectacular scenery, great rapids and remote location makes the Arun trip fascinating. The Upper Arun is one of the most powerful and respected rivers in Nepal, Surrounded by inspiring landscape, it cuts through the Hinalaya forging deep gorges and has superb riverside beaches. The powerful current and large volume of water gives rise to huge and impressive rapids throughout the journey. The rapids can be challenging and techically complex. After an hour's flight from Kathmandu, Tumlingtar in eastern Nepal is reached. Since the Tumlingtar flight is usually in the afternoon, camp is set up at Tumlingtar itself. The afternoon can be spent visiting the little village with its tiny teashops and airstrip. A briefing for the next day's adventure follows. Breakfast at 8: 30 am is followed by a trek to Sabiya Khola that takes about two hours at a leisurely pace. Briefing for the next day's schedule follows. On this day all equipment for the trip is arranged in preparation for the river trip the next day. An early breakfast and by 9:30 am, it is time to hit the water. Most of the day, the river is quite smooth except for encounters with little rapids of Class III/IV. This day brings more challenges than the previous one. Quite a number of rapids are encountered one after the other. The first is a lefr-bend rapid, before the suspension bridge at Ranighat. A number of rapids follows and at the end of the day, it is time to halt and set up camp. Compared to the previous days, today is pretty smooth and relaxed. The Arun River then merges with the Sun Koshi to form the collective Sapta Koshi, one of the major river systems of Nepal. Floating down the Sapta Kosi for about half an hour and the site of a temple in Bara Chettra, dedicated to lord Vishnu is reached. From here it's another half-hour float to Chatara. 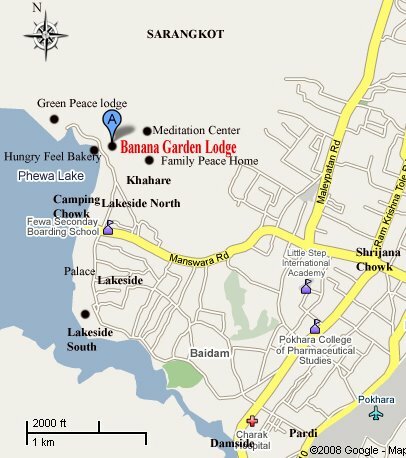 The splendid river trip in eastern Nepal ends here and the drive back begins.